SMF underwrote new $6,435,000 loan under the Section 223(f)/202 program that provided significant funds for repairs and reserves, and a Developer Fee equal to 15% of the loan. SMF obtained HUD approval in 45 days. In addition, the new loan has a 35- year amortization, lowering debt service, and the Project obtained a 20-year extension of its Section 8 subsidy, giving it a stable, long-term source of revenues. This is the fourth affordable housing loan recapitalization SMF has successfully closed for the Project’s management agent, which operates approximately 7,500 units of affordable rental housing. 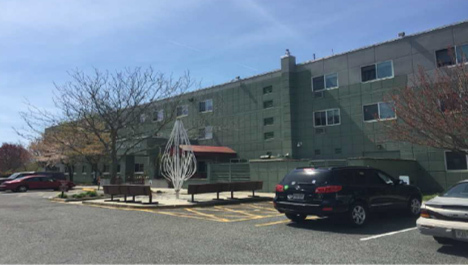 Margate Terrace Apartments, located in Margate, NJ, was developed in the early 1990s under the HUD Section 202 Direct Loan Program. Its primary source of income is a Section 8 Housing Assistance Payment (HAP) Contract which had a remaining term of approximately 16 years. The Section 8 subsidy is sufficient to fund operations and debt service obligations, but the Project had growing capital needs that could not be financed from operations and current reserve balances. In addition, the Project benefited from a PILOT and Ground Lease Agreements from the City of Margate. The existing agreements did not meet HUD’s current loan program requirements and therefore needed to be amended to recapitalize the Project. SMF underwrote a new $6,435,000 loan insured under the Section 223(f) program that was approved by HUD in 45 days. Approximately $1,378,000 in loan proceeds were escrowed for capital repairs; $350,000 was deposited into the Replacement Reserve Fund; and, a 15% Developer Fee was distributed to the Sponsor. SMF assisted the Project’s legal team in structuring revisions to the PILOT and Ground Lease agreements to satisfy HUD’s loan requirements. The new loan reduced the Project’s interest rate by nearly 60% and amortizes over a 35-year term. HUD and the Borrower entered into a 20-year renewal of its Section 8 Contract, which extended the Project’s subsidy funding for approximately 36 years. Because of the SMF loan, Margate Terrace has a significant source of new capital for improvements and reserves, and a long-term Section 8 funding platform. The Sponsor will be able to continue to provide affordable housing to low and moderate-income elderly for years to come. This is the fourth affordable housing loan recapitalization SMF has successfully closed for the Project’s management agent, Community Realty Management, which operates approximately 7,500 units of affordable rental housing. For more information, please contact Andrew Patykula or Joseph Windels at apatykula@nullsimsmortgage.com or jwindels@nullsimsmortgage.com.